Workers in China's Apple iPad and iPhone factories were forced to sign pledges that they would not attempt to kill themselves, an investigation has revealed. 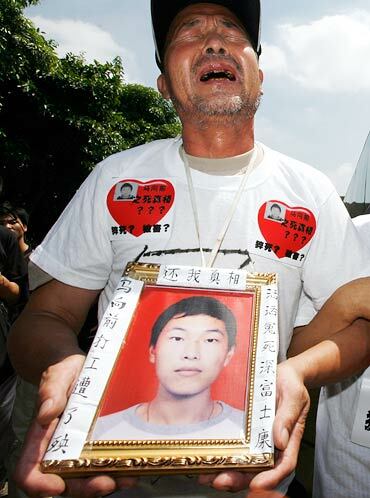 Image: Ma Zishan cries as he carries a portrait of his son Ma Xiangqian outside a Foxconn factory. 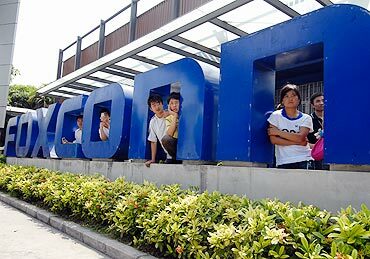 An investigation of the 500,000 workers by the Centre for Research on Multinational Companies and Students and Scholars Against Corporate Misbehaviour (Sacom) found appalling conditions in the factories. 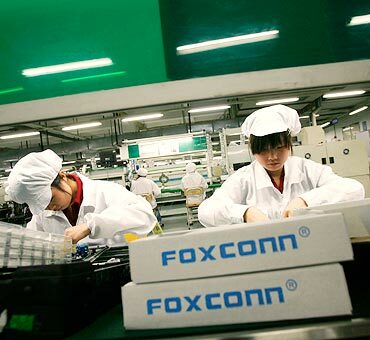 Image: Workers at the factory. 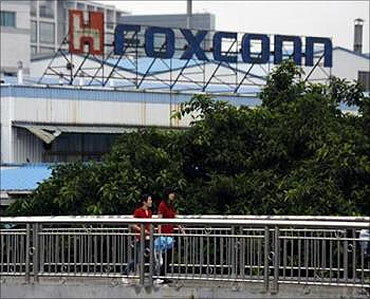 An investigation revealed that after a spate of suicides last year, managers at the at Foxconn factories ordered new workers to sign a 'no suicide' pledge. Workers were made to promise that if they did, their families would only seek the legal minimum in damages, The Daily Mail reports. Some officials within the company even accused workers of committing suicide to secure large compensation payments for their families. 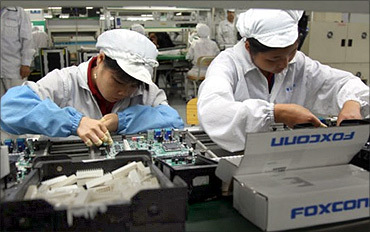 Demand for Apple iPhone and iPad products is so high that workers in China who assemble them are treated "inhumanely, like machines" to keep up output. 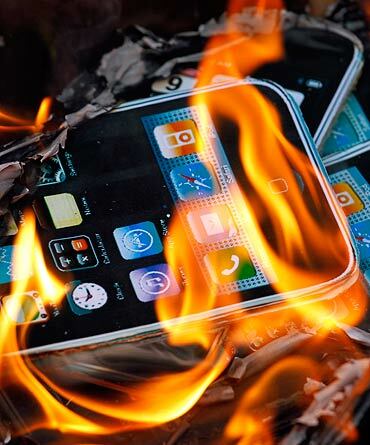 Image: Protesters burn pieces of paper in the shape of iPhones manufactured by Foxconn. Leontien Aarnoudse, a Sacom official said the workers are asked to work overtime to meet increasing demands of the products. "They work excessive overtime for a salary they can hardly live on and are inhumanely treated," said Aarnoudse. "Conditions are harsh and they don't have a social life. Their life is just working in a factory and that is it," Aarnoudse added.